In a crisis there are some people who become paralyzed and wonder what the hell they're going to do when it looks like the odds are stacked against them. (Right. Full disclosure: Yes, that's me.) Then there are people, people like Lee Rhodes who show just what it means to be a warrior. 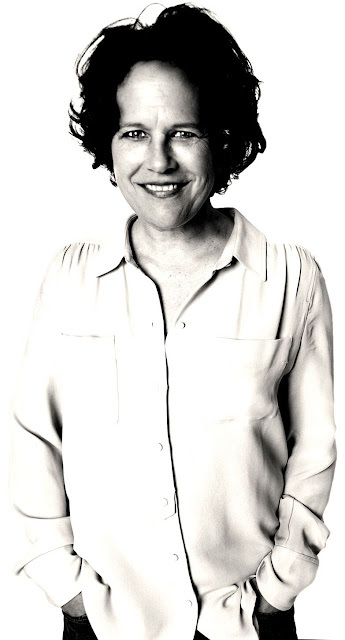 Lee Rhodes, is an entrepreneur, warrior and the founder of glassybaby. When she was diagnosed with a rare form of lung cancer, she not only fought the cancer and won but it was during this period that she also created a company and a product of beauty that stands for something. During her lowest points, Lee sought moments of solace watching the glow from a candle flickering inside a glass. Feeling the healing power of the hope from light in the votive, Lee learned how to blow glass and found artisans who shared her vision. Her goal was to create something small and beautiful that would bring hope to those who needed light in their lives. And so she did. Today over 500 glassybabies are created each day by glassblowers in the Madrona studio. 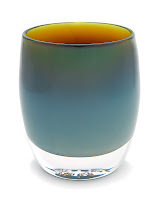 Hold a glassybaby up to a sunbeam and you can see the multi-hues in each glass. Watch the flicker of a candle on an indigo night and you feel cozy and safe. 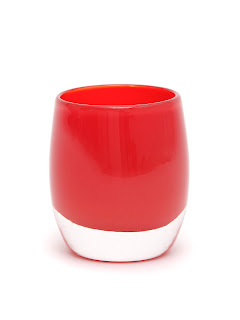 While collectors, designers and glassybaby lovers enjoy the simple aesthetic of a glassybaby, they aren't the only ones benefitting from the beauty of this votive. 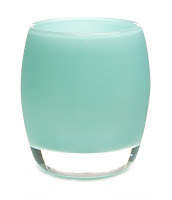 So far, glassybaby goodwill had donated close to a million dollars to help people touched by cancer. Giving back remains a firm part of the company's culture. At my lowest in May 2009 I couldn't even imagine getting out of bed, never mind putting on my warrior mindset and thinking about the future. Luckily, people like Lee exist and they're willing to share their experiences. Happygirl: Lee, glassybaby came from what many people would call a dark period when you were fighting against cancer. Many people would implode on themselves but you thought of a new company. How did you stay positive during a time when most people couldn’t think of starting a company? Was there ever a point where you were frustrated or depressed? If so, how did you get yourself out of that period? Lee Rhodes: There was a period when I was sick when I was afraid but I had three small children and no time to sit around and think about that. I was very busy taking care of all of their needs. I did find that I needed to slow down and glassybaby helped me do that. I would light glassybaby and they helped me get to that peaceful place where I could heal. I never intended to build a business but had a product that helped me and at the same time I saw a real need in chemotherapy waiting rooms. I met people who could not afford basics like groceries when they were sick. I saw firsthand that there was a huge hole that wasn't covered by health insurance. glassybaby started as a way to give back money to help patients like that with basic items they need to heal. Today, glassybaby has donated almost a million dollars from sales to charities that help people. That is why the company started and that is what glassybaby is all about. HG: You were selected as the Entrepreneur of the Year by Entrepreneur Magazine. Is there anything you know now that you wish you knew back in glassybaby’s infancy? Lee: I have learned that I shouldn't always say everything that I am thinking all the time. When I am at work I try to think it over for a few minutes and then respond. HG: You have talented glassblowers. It seems whenever we’re here they are laughing, enjoying and loving what they do. The day I was here recently there were a line of dogbeds and some happy dogs. Tell us about the atmosphere working here. 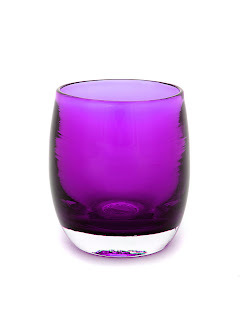 Lee: glassybaby is fortunate to have a very professional group of glassblowers. They are professionally trained and talented and they work together with a wonderful sense of camaraderie. People walking through our studio tell us they can feel the joy. Our artists are making a product they love and that gives back to help other people. We are all behind that mission and it shows. HG: glassybaby collectors are emotional about their collections. Why do you think that is? 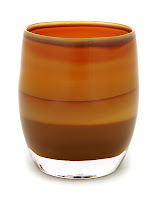 What’s the most unusual story you’ve heard about a glassybaby? Lee: You can't light a glassybaby and not be touched. There is something about the flame and color that people truly feel. We are selling an experience and not a product. glassybaby allow people to heal, feel, laugh, think and celebrate and we are so grateful people share those stories with us all the time. 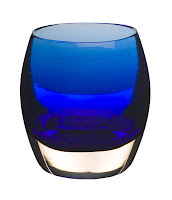 We just heard from a customer who was selling her house and the buyer wanted her to include her glassybaby in the sale. The glassybaby made the house feel like a home and the new owner was trying to preserve that special feeling glassybaby brought to that house. HG: How do you come up with new colors? Is it seasonal? Have you thought about what comes next? Lee: Our colors are dictated by what glass, color bar is available. Each glassybaby consists of three layers of glass: clear, color and then clear. The colored layer is a heated glass color bar that comes from Europe. The recipes for those bars are 500 years old and top secret. We import and buy the color bar depending on what the companies are making. HG: What does a perfect happy day look like for you? Lee: A happy day for me is when life doesn't seem overwhelming. I can stop and appreciate all the good around me. 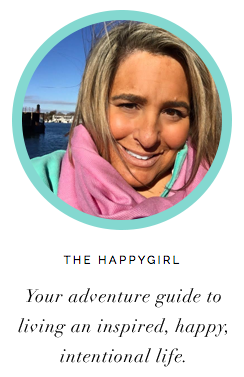 Enter to win the September Happygirl Giveaway of a Hudson glassybaby and Mystic Topaz earrings here.